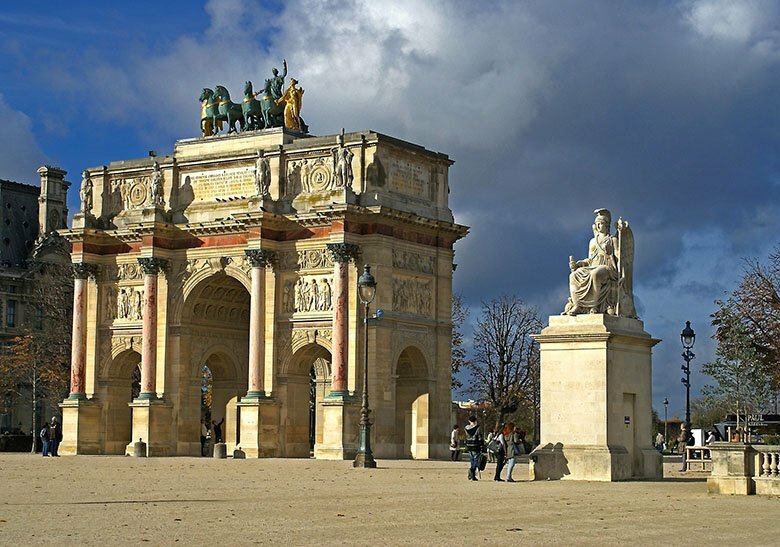 How many triumphal arches have you seen? I obviously don’t know the answer, but I’ll guess it is at least one since this is one of the most common kinds of memorials of the old times. For that reason, I’ve paired up with fellow travel bloggers to bring the story and meaning of some of them to you. 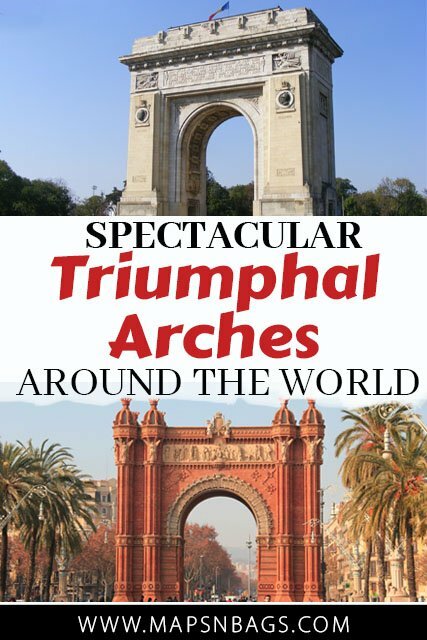 There are plenty of triumphal arches around the world, so it’s impossible to write about them all, but I’ll keep updating this list every now and then. 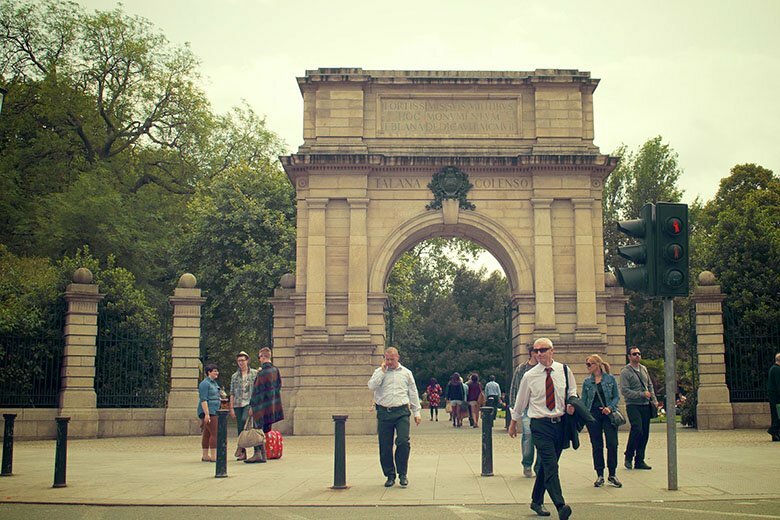 But why are triumphal arches so common? Well, they have a shape of a gate, which can symbolize both death and victory in ancient Rome because they imply a passage to a new world. That’s why it’s not a coincidence that Italy (still) holds the greatest number of arches since they created a tradition of building arches to celebrate victories achieved by the Roman generals. These imposing structures can carry representative statues, reliefs, adornments, carvings, and a dedication made in the most different materials. Raised around 82 AD on the Via Sacra, the main street of ancient Rome, the Arch of Titus was built by Emperor Domitian to commemorate his brother’s victories, Titus. This might be the father of most arches as it inspired many of them, like the one in Dublin, New Delhi, and Paris. It has winged women that represents his victories and it used to have golden inscriptions on it. As you can imagine, the arch was restored a few times, but the monument is so old that you can still see the marks of time on it. You can see this and many other art pieces in the Italian capital, here’s a great 2-day Rome itinerary! It is 15.4 m (50 feet) high and 13.5 m (44 feet) wide. If you find yourself in the south of France and have a day to spare, do yourself a favor and visit Orange and its triumphal arch. Not as famous as the one in Paris, but definitely older and better preserved, the Triumph Arch in Orange stands at a traffic junction on the edge of the old center of Orange. And it has been standing for over 2,000 years. 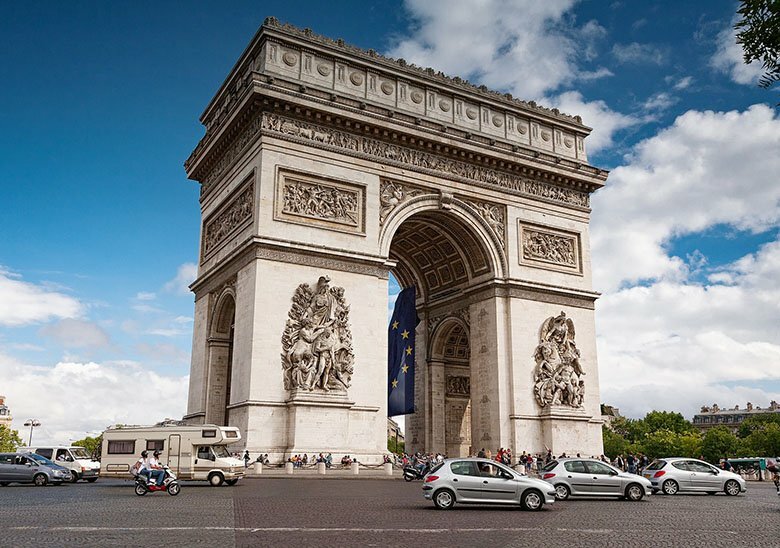 The Triumph Arch in Orange was built to commemorate the soldiers of the Gallic wars in 27 BC. After more than 2,000 years, the Arch in Orange is the best preserved Roman Triumph Arch outside of Rome. Eat that Paris! The Arch measures 19,57 meters long, 8,40 meters wide and is 19,21 meters high. It consists of one main arch and 2 side arches, under which you can walk or cycle if you like. The Triumph Arch in Orange is located at a busy traffic junction, but once you pass the busy road, you’ll find yourself in a tranquil park surrounding the Arch. The Arches are covered with exuberant details, inscriptions, and details. All hewed into the stone many years ago. The Triumph Arch in Orange has undergone a series of restorations works, but it clearly shows. The Triumph Arch in Orange is ready for your visit! Back in the 19th-century, the young sons of Russian royal families, who lived in the Romanian capital, would go to Western Europe to study and bring their influence back home, especially the French culture and ideas. Bucharest was quickly being influenced in different aspects, such as in arts, fashion, architecture, and political ideas. As the years passed, the French culture and language became more important in the Romanian society and plenty of its buildings were even designed by French architects. Needless to explain how this arch was influenced by the French, right? This triumphal arch isn’t the first one built in Bucharest, though. The first one was made of wood and it needed to be completed in a rush because they wanted the victorious soldiers to march under it when Romania gained its independence in 1878. 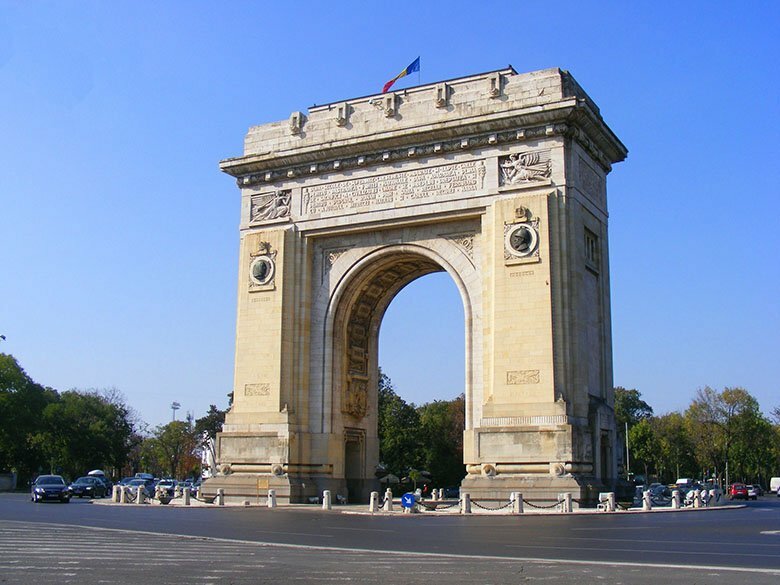 After that, they built another triumphal arch in the same place to celebrate Romania’s victories in World War I, but this one was also demolished and gave place to the last Triumphal Arch, which is 27m (89 feet) high and was inaugurated in 1936. Its facade is adorned with the effigy of King Ferdinand I and Queen Marie, who lived for a few years in Bran Castle, today known as Dracula Castle. The coat of arms of Romania appears under the arch on both sides. 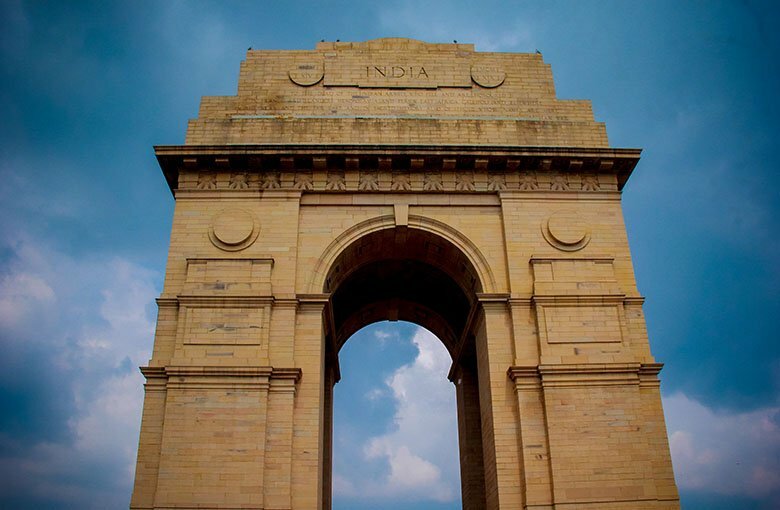 An Indian war memorial designed on the similar lines of the Arch of Titus in Rome and Arc de Triomphe in Paris, both mentioned in this post, is also known as India Gate, a synonym of Delhi. Perceived by Sir Edwin Lutyens in 1917 to honour the soldiers who sacrificed their lives fighting for Great Britain during World War I. The largest war memorial of India is located in the centre of New Delhi, in the Rajpath area, directly leading to the Rashtrapati Bhavan aka President’s House. The 42 meters high structure is inscribed with the names of 82,000 soldiers of the British Indian army, including 13,000 British soldiers. The stone used to build the arch is mainly yellow sandstone and it has Indian origins. To pay homage to the soldiers who gave their lives in the 1971’s Bangladesh liberation war, the Amar Jyoti Jawan memorial was set up within the India Gate. A self-loaded rifle mounted with a helmet standing in reverse on a black marble base, surrounded by four ever burning flames. The marble base has “Amar Jawan” inscribed with pure gold symbolizing “Immortal soldiers”. The India Gate stands in the centre of a lush green garden with small canals on the side and one of the biggest roundabouts of Delhi. There is no entry fee for the arch and it can be visited at any time of the day until 10 pm. Throughout the day, the area around the India Gate is bustling with tourists and local vendors. After closing time, tourists move towards the Rajpath gardens making the arch a popular hangout for late evenings. Right in the heart of Dublin, at the entrance of the most visited park in the city, St Stephen’s Green Park stands the Fusiliers’ Arch. This monument is dedicated to the men of the Royal Dublin Fusiliers who fought in the Second Boer War, in South Africa. The arch was built in 1907, five years after the war, and there is some controversy regarding it because there were Irish men fighting on both fronts, but the arch remembers the ones who fought on for the British army only. Underneath it, you can read the names of the men who died. Conflicts apart, it is a 10 meters (33 feet) high and 8.5 meters (28 feet) wide structure, mostly made of granite and it carries a bronze ornament on the front. Some say it is a smaller version of the Arch of Titus in Rome, but I’ll let you decide it. Do you agree it’s similar to the Roman arch? 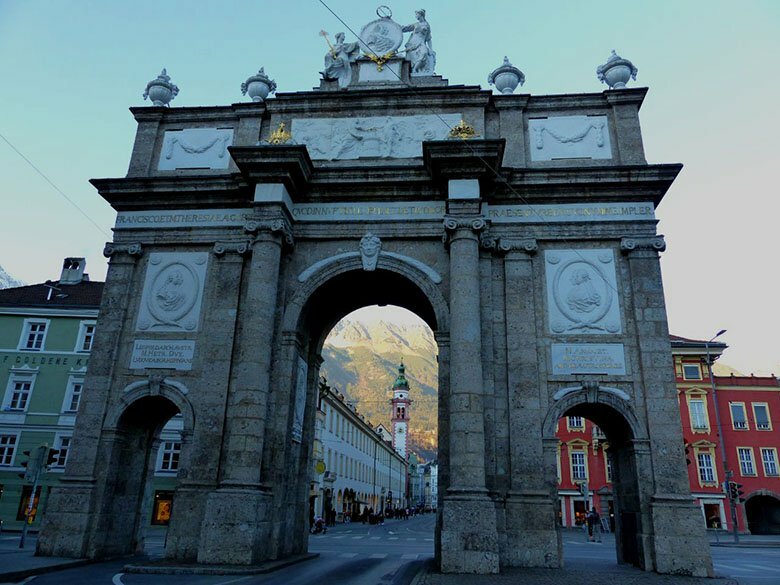 Nowhere else than in Innsbruck, Austria will you find a triumphal arch with a mountain backdrop and a famous golden roof down the road. What makes it even more unique, is that it commemorates both a happy and a sad occasion. The Innsbruck Triumphpforte, as it is known in German, was initially ordered by Empress Maria Theresa to celebrate the wedding of her son; Archduke Leopold, who later became Emperor, married the Spanish princess Maria Luisa in 1765. However, Maria Theresa’s husband, Francis Stephen of Lorraine, died unexpectedly shortly before the wedding. As a result, the design of the Triumphal Arch was altered in the memory of Francis Stephen. The southern side now portrays the joyous occasion of the wedding, while the northern side portrays the sad occasion of the death of the Empress’ husband. The reliefs on the Innsbruck Triumphal Arch depicts different people and things. Very important are the state symbols of the Habsburg monarchy. And of course, the two couples in question. The portrait of Maria Theresa and Francis Stephen features him wearing a laurel wreath, while there is a profile portrait of the wedding couple on the other side. 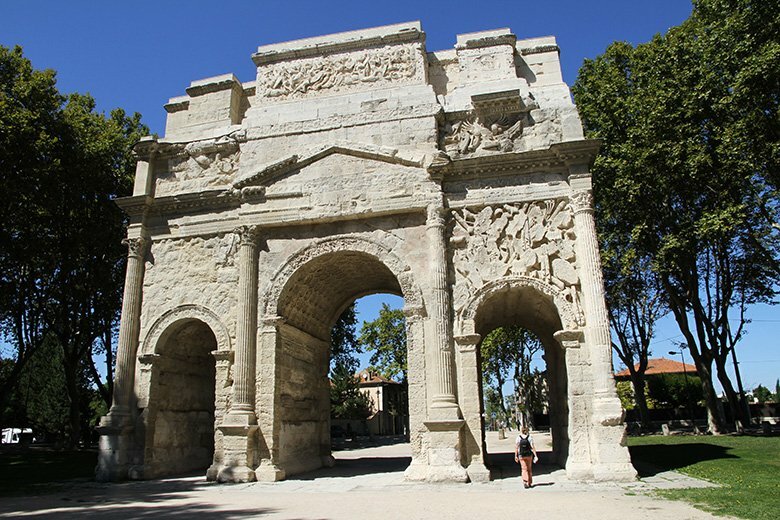 Unlike other triumphal arches in the area at the time, this one was built from stone rather than wood. It was modeled after the triumphal arches in Rome and is still beautifully preserved at the Southern end of Maria Theresa Street in Innsbruck despite all the traffic passing under and around it. Read Linda’s detailed Innsbruck sightseeing guide for more information about attractions in the capital of Tyrol, Austria. 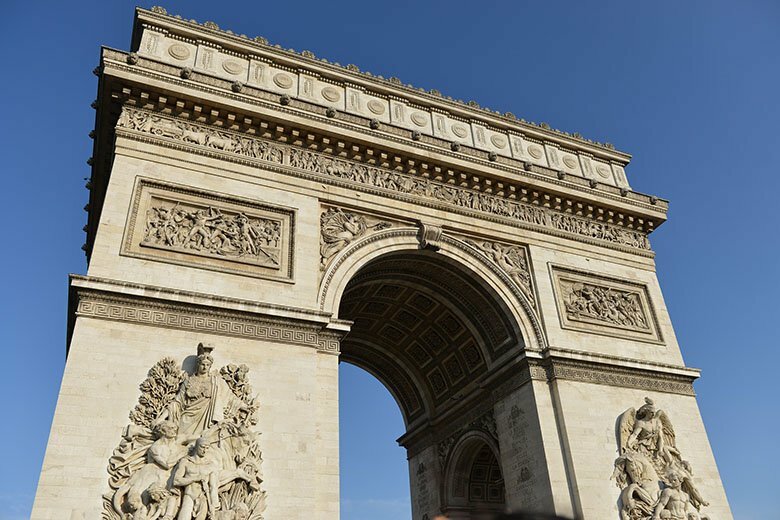 Probably the most famous arch in the world, this Parisian beauty was inspired by the Arch of Titus in Rome. It stands on the end of Champs-Elysees, at the center of a road junction connecting 12 avenues. This arch honors the soldiers who fought and died in the French Revolutionary and Napoleonic wars, with the names of the generals inscribed on its surface. Beneath the arc is the Tomb of the Unknown Soldier with an eternal flame. For a fee (12 euros) you can go up in the arch, which is 50 meters high (164 feet). Pro tip: Go up in the arch close to the sunset, so you can have a breathtaking view of Paris during the day and in the evening, when the Eiffel Tower lights up. Pssst: Paris has another arch, the Arc de Triomphe du Carrousel (second photo below), near the Louvre. It commemorates Napoleon’s military victories. 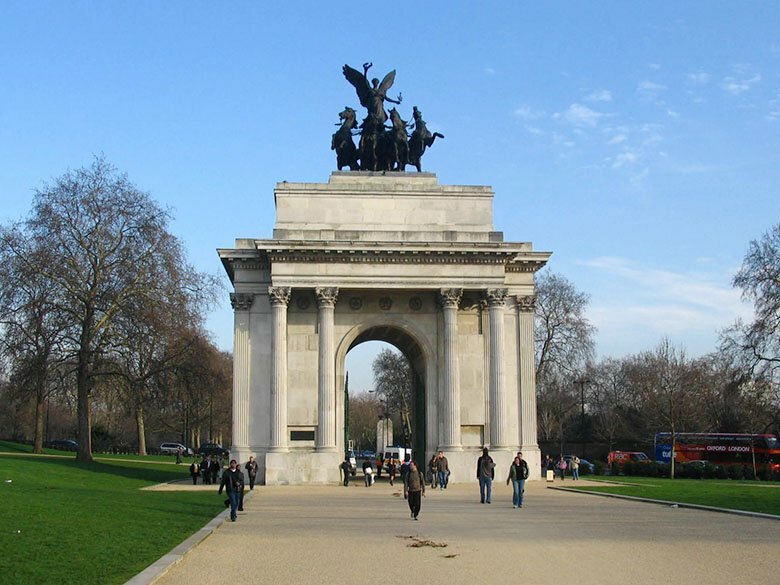 Also known as Constitution Arch, the Wellington Arch stands prominently on the corner of the Green Park and Hyde Park. Wellington Arch isn’t a real famous attraction of London, but hey! It celebrates something very important for the country, namely Britain’s victories in the Napoleonic wars. The statue on the top of the arch depicts Nike, Greek goddess of victory, riding a quadriga (four-horse chariot), but it has not been the same statue since the beginning. It used to be one of Sir Wellington, which was considered ridiculous for a great part of the locals, so after his death, it was removed. Pssst: This is the largest bronze statue in Europe. 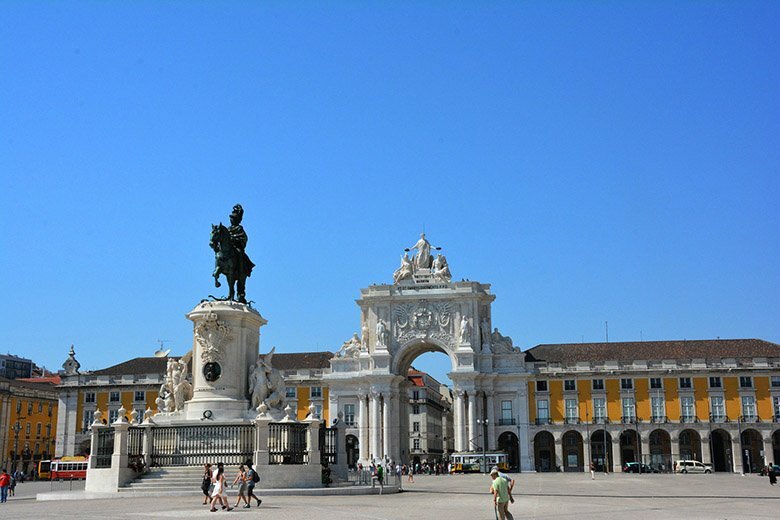 Hard to miss, the triumphal arch of Lisbon rises over 30 meters (100 feet), has 6 columns in its base, and it’s adorned with many historical figures. The three statues on the top of the arch represent Glory, the one in the middle, rewarding Value and Genius with two crows. Located on the Praca do Comercio, the triumphal arch’s construction started in 1755 and it was inaugurated over a century later, in 1873. Most triumphal arches commemorate the lost lives of brave soldiers, but this one is different. The Rua Augusta Arch in Lisbon commemorates the city’s reconstruction after the 1755 earthquake, fire, and tsunami. Lisbon was almost totally destroyed after this natural disaster, so they decided to commemorate the city’s rebirth. The building was actually designed to be a bell tower, but it was later transformed into the triumphal arch we know today. Right in the middle of the arch you can see the coat of arms of Portugal and written in Latin ‘The Virtues of the Greatest’. It is possible to go upstairs and have a 360 degrees view of the area, including the Praca do Comercio and the Rua Augusta for a small fee (2.50 euros for adults). If you love taking nice pictures, this is a hotspot you can’t miss! 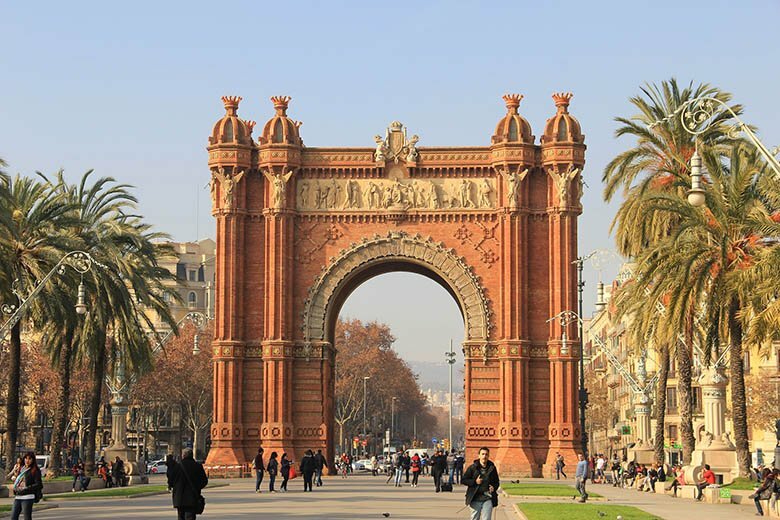 Barcelona’s arch uniqueness is that it was built to serve as the main access gate to the World Fair of 1888. No lost lives or battles behind it. Just art. The front of the arch holds the sculpture ‘Barcelona rep les nacions’, Catalan for ‘Barcelona welcomes the nations’. These intriguing monuments tell so much about the local history, don’t you think? Don’t worry, I’ll update this post with more cities around the world! 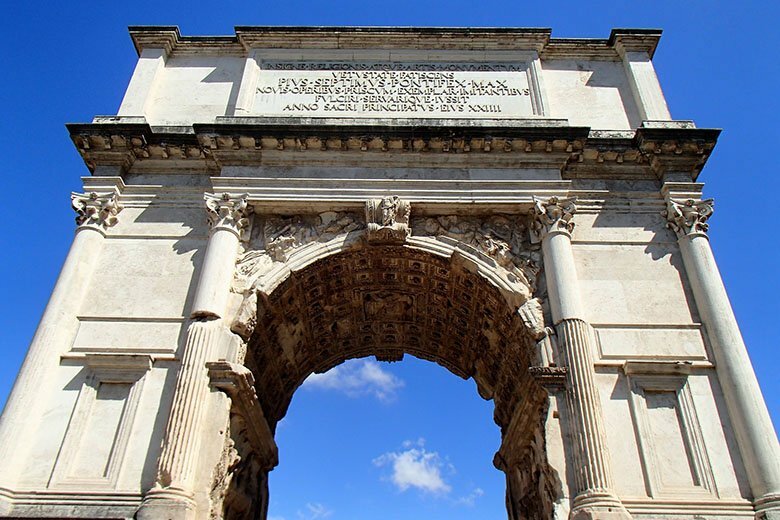 Are there any triumphal arches near your home? Or which arches that you have seen did you like the most? Why? This entry was posted in Destinations and tagged Citytrip, Unesco. Hi Bruna. 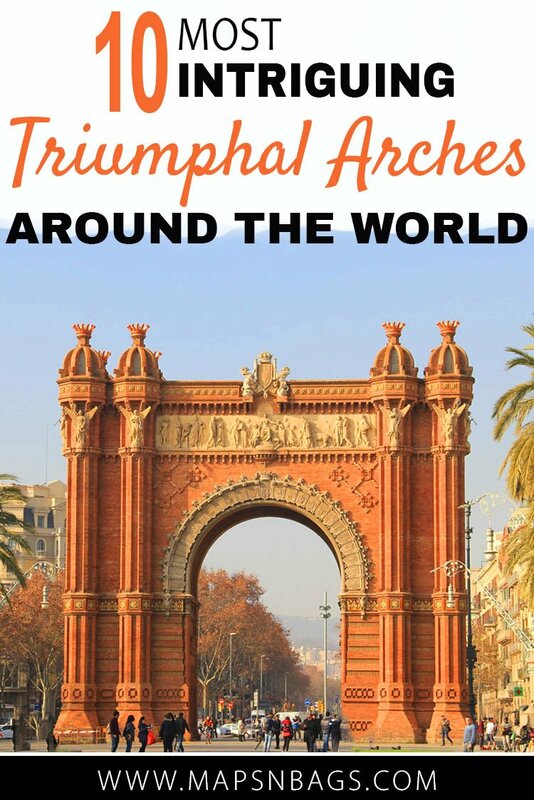 I didn’t know there were so many triumphal arches all over the world. This list is very informative, great job. Great list! I have seen some of them but adding the rest to the bucket list. Very interesting to learn more about them. There is also one in New York City, I don’t know much about the story behind it though. I was going to mention this one Anisa 😉 Small compared to the ones on this list – the one in Barcelona is gorgeous – but I have walked by it many times. Or, under it. Washington Square Arch, Greenwich Village, NYU is right there. Cool neighborhood. Performers rock this area out during summer months. Barcelona’s arch is gorgeous indeed! Full of details, love that.